Coastal Habitat Working Group The ICES Working Group on the Value of Coastal Habitats for Exploited Species had its second annual meeting during the last week of June 2014 at the University of Lisbon's Center of Oceanography. From L: Olivier Le Pape (France), Karen van de Wolfshaar (Netherlands), Rom Lipcius, Josianne Støttrup (Denmark), Håkan Wennhage (Sweden), Rochelle Seitz, Rita Vasconcelos (Portugal), Ken Rose (Louisiana State University), Dave Eggleston (North Carolina State University). Fisheries management has traditionally been guided by data on population abundance and harvest size. A new study by researchers at the Virginia Institute of Marine Science shows the importance of adding the quality of coastal habitat to the factors that can affect the health and sustainability of commercially targeted fish and shellfish species. The study, one of nine theme articles on “The Value of Coastal Habitats for Exploited Species” in the ICES Journal of Marine Science, was led by VIMS professors Rochelle Seitz and Rom Lipcius, along with colleagues in Sweden and the Netherlands. The theme articles stem from a research plan initiated during a workshop in Copenhagen, Denmark in 2012. Co-chaired by Lipcius, the workshop was hosted by ICES—the International Council for the Exploration of the Sea—a network of more than 4,000 scientists from almost 300 marine institutes in 20 countries in Eurasia and North America. ICES has now also convened a formal Working Group on this emerging topic. The group, chaired by Lipcius, first met in 2013 and held its second annual meeting earlier this month at the Centre of Oceanography at the University of Lisbon, Portugal. For their specific contribution to the theme set, Seitz and colleagues reviewed and synthesized published reports on the use of Atlantic coastal habitats as feeding grounds, nurseries, spawning areas, or migration routes by 59 fish species and 12 shellfish species that are commercially or ecologically important. 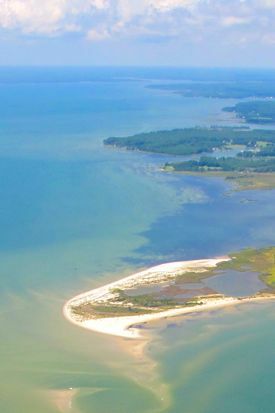 They considered as “coastal habitats” 9 different nearshore environments: seagrass beds, shallow subtidal and intertidal areas, kelp beds, shallow stretches of open water, salt marshes, mussel beds, macroalgal beds, rocky bottom, and shellfish-farming areas. A second paper in the theme set—co-authored by North Carolina State University professor and VIMS alumnus Dave Eggleston along with colleagues from Portugal, France, and the Netherlands—reviews for exploited species quantitative assessments of habitat-specific rates of immigration, emigration, growth, and mortality. 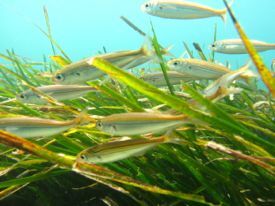 Other articles in the theme issue examine seagrass and juvenile-fish habitats in Chesapeake Bay; the role of ecosystem-based management in Chesapeake Bay, Puget Sound, and Galveston Bay; and several aspects of coastal habitats at sites throughout Europe. The authors recommended that future studies should include efforts to create comprehensive habitat maps and to develop census techniques that can be applied to kelp forests, rocky shores, and other complex, hard-bottom habitats.